This shawl has a very subtle diamond design. It is almost like an embossing effect. We use Homespun for its softness and comfort. 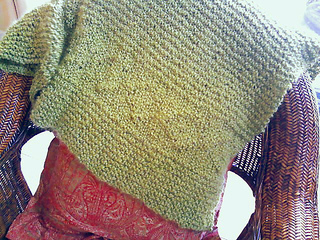 The fuzziness from this yarn gives it a light detailing. 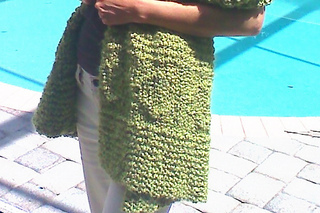 If you want to have more of a detailed on your design I suggest you use another yarn that is not as fuzzy. I like the softness of the detailing myself. Using another yarn will also change its gauge so you may want to add another diamond repeat if needed. This pattern also includes a chart. Pattern available at Endless Kntis website.